As a small company, like so many others, we must fight unfair regulations and unfounded criticisms – and just plain dishonest claims used as “scare tactics” aimed at eliminating competition. Case in point, a political lobby based in Washington DC called the “Environmental Working Group” known as “EWG.” They post a database that claims to give ”safety information” on ingredients in cosmetics. Called “Skin Deep,” the database has a “rating system” that rates products from cosmetic companies including 33 products from Paul Penders with 132 ingredients. Out of all these ingredients, only 2 are rated as “high hazard.” What are they? ‘Fragrance’ and Vitamin A.
Fragrance, they claim, is a “chemical cocktail” of untested ingredients. Let me tell you upfront that Paul Penders uses only natural flower oils to give our products pleasing scents. How many people are blindly being mislead by EWG – and anyone who publicly says that Paul Penders would use ingredients that are connected to terrible diseases? For over 40 years, we have used only safe, good ingredients that have been approved by chemists and which we have tested on human volunteers (never on animals). We receive very few complaints and we take those that we do receive very seriously. Look carefully at EWG’s rating system. They base it on reading published literature about ingredients and not on doing any actual scientific research or testing of a particular product. 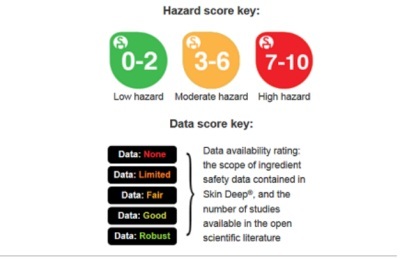 They rate hazard levels based on their evaluation of the ingredients from the literature – and as we all know, anyone can write anything in a free society and post it on the internet! Even the most reputable scientists make mistakes and offer warnings of dangers without adequate testing. EWG publishes warnings about ingredients in a format that makes the reader assume they are fact – when in fact, much of the literature is anecdotal or based on observations of a small sample group. How would it be if doctors had to rely on a list like this for their prescriptions? Compare the EWG rating system to the detailed descriptions of benefits and percentages of patients who have had adverse reactions given with prescription drugs. This rating system is junk – and designed to scare and confuse. And we are not alone in this opinion. Please could I return the Paul Penders products – I haven’t opened them. Only I have just had a [major disease] and I’m probably being over sensitive, but saw this: http://www.ewg.org/skindeep/brand/Paul_Penders/ on the Internet and so it worried me. Sorry about that. Can I send the Paul Penders products back? Bluntly speaking, we are not afraid to have our customers look at our listings on “Skin Deep.” We are proud of the safety and efficacy of our ingredients. We are afraid that this is an example of the scare tactics and untruths presented by EWG that hurts our company and our customers. It saddens us greatly that this customer turned to EWG and did not refer to other more scientific sources. EWG does not present scientifically proven facts in a clear manner. If they can give a really scary message, that comes in handy in their campaigns for more funds. As a political advocacy organization in the US capital city, they are very powerful with access to the leaders of the free world. But here at PP, we don’t like them because their ‘truths’ about cosmetics seem to be mostly lies. I was asked to review Paul Penders natural baby products: the Baby Shampoo, Baby Shower Gel and Baby Body Lotion. I’m no different from other mothers when it comes to caring about my own child. Like other mothers, I believe only the best is good enough for the little wonder. My “little wonder” is a lovely 6 months old girl. Before telling about the products, there is something I have to admit; I have actually never tried natural shampoos or body lotion before. Yes, I have bought organic vegetables but never natural herbal shampoos, lotions or other natural herbal cosmetics. So I was excited this morning when I received three bottles from Paul Penders Co. Finally it was time for the daily bath and I used Natural Baby Shower Gel in the bath water instead of my normal soap. It was different because it foamed less than I expected it to but since I was told already that the amount of foam has nothing to do with the quality, it felt right. Again that lovely soft smell! 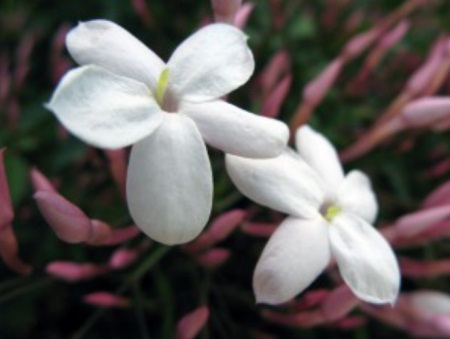 A delicate smell that I enjoy particularly while keeping in mind that it comes from natural sources. The Natural Baby Shower Gel seemed to be very gentle to her skin. On we went to the Paul Penders Baby Shampoo and the same could be said again; only a limited amount of foaming, far less than my own shampoo for example — and again a wonderful smell. Though the natural shampoo seemed to be very mild and gentle, her hair was perfectly clean, soft and shiny after one wash. Finally, it was time to add the Baby Body Lotion. Mmm… that wonderful smell again! After a few days of use, her skin had become so soft. My conclusion after having tried the 3 Paul Penders Natural Baby products is that I’m left with a very positive impression. I find the Baby Body Lotion so good that I now even use it on myself as well! I love knowing that the products contain certified organic herbs. I definitely recommend that every mother or father try the baby products on their baby — and maybe use them themselves as well.? Paul Penders Co, so I was told, is also developing a Natural Baby Sunscreen Moisturizer as well what I also would love to try as well. In my home we are now all using natural baby products. After this pleasant experience I will not go back to some less expensive supermarket cosmetics and wish to thank Paul Penders Co for the opportunity to try out these fine baby products; it was a real pleasure. Paul Penders Natural Baby Shampoo is a mild soap-gel, extremely gentle on little scalps. Added moisturizers keep baby’s scalp from becoming dry or flaky to help minimize cradle cap and leaves baby’s hair soft and shiny. Paul Penders Natural Baby Body Lotion contains natural plant oils that soften and moisturize flaky patches of skin and protects against dryness; leaving baby’s skin extra soft and smooth. Baby Body Lotion nourishes and leaves baby’s skin silky soft. All baby products contain LevensESSENTIE Gold® extract from 22 certified organic herbs. 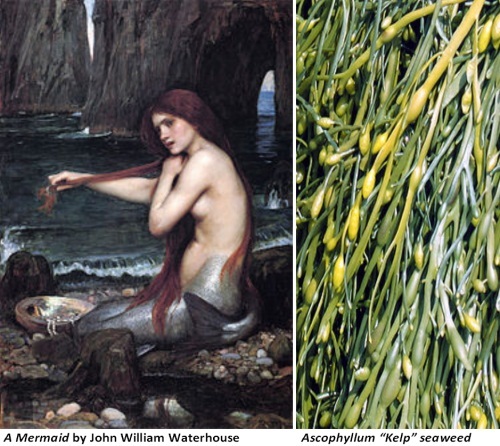 A beautiful mermaid with long hair made of seaweeds emerges from the sea. Sailors ask for her name. “Thessalonike,” she answers, “Alexander the Great’s sister. Is King Alexander alive?” The wise sailor answers, “Yes, he lives and reigns and conquers the world.” In return for this happy answer, she calms the sea. But should a foolish sailor answer that he is long dead and gone, the mermaid would conjure a storm that dooms the ship and all her crew. Oh, the romance of the sea. Legends of mermaids and sirens’ songs luring sailors on to the rocks, of sea monsters emerging from the depths to drag down a ship, of pirates and ghost ships and the great navigators who sailed around the Capes to other worlds. And in the background to every scene are the long floating strands of seaweed. Seaweed figures prominently in modern spas which feature full-body wraps. It is used in health food smoothies and as a thickener in ice cream. Paul Penders specialty formulas use as many as 3 kinds of seaweed and sea algaes as a natural emulsifier, thickener and stabilizer. Biomarine Algae (Algae Extract) and extracts of brown seaweeds contain powerful minerals from the sea. One species, Macrocystis pyrifera grows faster “in linear growth” than any other organism on earth, growing as much as two hundred feet long at a rate of two feet a day. Eight to thirty meters (26 to 98 feet) below the sea surface, laminaria, better known as sea kelp, floats beneath the waves. Its commercial uses for iodine, algin (also called alginic acid, alginate) capable of absorbing 200-300 times its weight in water and mannitol used primarily in pharmaceuticals make it a valuable commodity on the world market. Ascophyllum nodosum may be the most familiar to landlubbers as it is found in sheltered spots along coasts and estuaries. Held up on the surface by egg-shaped bladders, this slow growing seaweed may live for 10–15 years. So – when you slather on the Paul Penders products that contain seaweed, indulge yourself for just a moment and imagine the sounds and sights of the sea. Let yourself transform into a beautiful mermaid. Remember the Hans Christian Andersen story? Even though the Little Mermaid does not win her Prince, she does save him from the Sea Witch’s curse, and for her good deed, she eventually earns a human soul. “Twinkle, twinkle little star!” If you are down in the warehouse of Paul Penders International on the island of Penang in Malaysia, you might hear someone humming sweetly. Meet Siti, a lovely Malaysian young woman from the town of Teluk Bahang. Why is she singing? Because her 4-year old daughter came home from nursery school to teach her mom the song in English she learned in school that day. 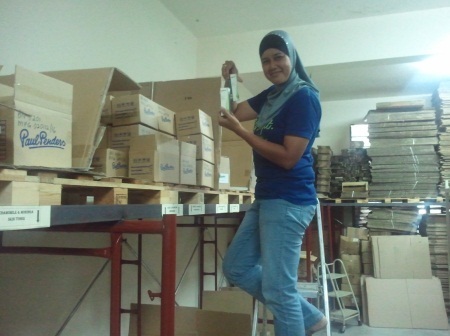 Siti has worked at the Paul Penders warehouse since November 2011. Previously she held jobs in tourist hotels. Her husband continues to work as a security guard in a hotel in the famed resort town of Batu Ferringhi which is just minutes away. She tells me they live just a few steps away from the warehouse in this fishing village by the sea – a very short commute. Siti has lived all her life here. One of her favorite phrases is, “Seriously.” Siti is not really shy – or very somber. She has a beautiful warm smile and readily hugs me hello when I first meet her. Her colleagues say she is always smiling and friendly – she has a great attitude! At first, she says, it was hard for her to know where and what things were in the warehouse and to figure out the tallies from the many boxes of products that surround her. What helped was when her “bosses” gave her samples of the cosmetics to try out at home and to give to her friends. One of five children – 3 brothers and a sister — she and her sister experiment with the products and compare notes. She’s now a big fan of PP products! 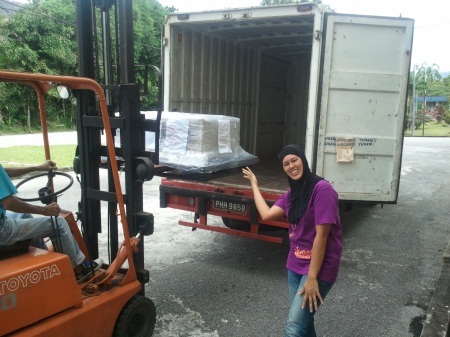 Siti now feels quite confident that she has the warehouse tightly organized. When the lab upstairs ran out of a liquid to make a new batch, her boss, Bas, raced downstairs to the warehouse to get more. I watched as Siti led him directly to the correct barrel and carefully poured out the exact quantity needed. 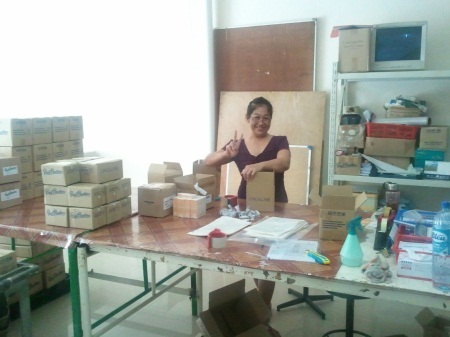 People are in and out all day – Mrs. Tan who helps part-time pops in for more supplies. She is a lovely smiling Chinese Malaysian woman who is a bit shy about her English but her co-workers say she’s efficient, helpful, and very kind-hearted. Mrs. Tan speaks Mandarin and Malay; Siti switches fluently between Malay and English at will. 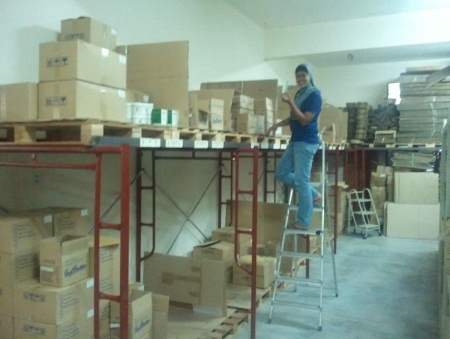 The Paul Penders warehouse is spacious and airy with high shelves filled with cartons in all sizes and shapes. When the large screen door is opened for deliveries, it can get quite hot — but Siti is uncomplaining. She turns the radio on softly, sits up on a stool with a mountain of paperwork beside her — and sorts, counts, packs, and ships PP products all over the world. About five years ago we decided to both leave our jobs and start our own company. We wanted to sell natural cosmetic products and teach people about the importance of natural and healthy living along the way, so we searched the web a lot. We already introduced one brand to Slovenian customers, but we felt like we needed more products – something different. That’s when we stumbled upon Paul Penders website. We were both very impressed with the ingredients and the way the products looked. We decided to test them so we ordered one of every product. When we tried them out ourselves, we immediately knew – that was it! They worked great on skin and hair – another proof how good natural cosmetics can be, without any harsh and even poisonous chemical ingredients. When we started our business, only a few natural cosmetics were present on the market and they mostly came from Germany (Weleda, Logona, Dr. Hauschka…). We were among the pioneers that introduced natural products from other parts of the world. 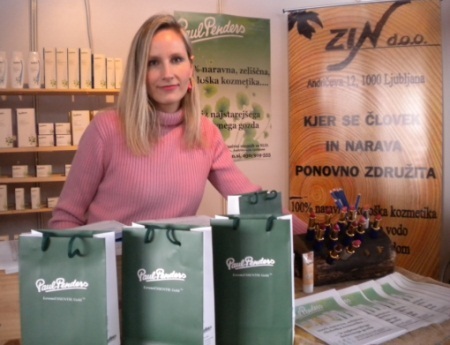 While all this was happening in Slovenia, big changes also happened to Paul Penders products – for the better. Their look became brand new and the ingredients even better because of the great Coconut water! I love these products so much …. We love hearing from our distributors and customers! Please write and share your story and maybe we’ll post it on the blog! Write to yen@paulpenders.com . Please visit our Facebook Page . We hope you LIKE us!